Dr. No was not my first James Bond film. As a child growing up in the late 80’s and early 90’s, before the release of GoldenEye, it was actually one of the last movies in the series that I watched. It is however my favorite movie in the franchise. Are there better Bonds? I certainly believe so. Do some of them have better stories, better villains or more in-depth characterization? Absolutely. Dr. No is more known for being a watershed moment in film history than it is, perhaps to say, a watershed film. This is the introduction of Agent 007. And boy is it an introduction. Dr. No is both a James Bond movie and not at the same time. Being the first big screen version of Ian Fleming’s literary spy, no one knew if this enterprise would be a success or a failure. It certainly has elements of the movies that would follow, the theme, the gun barrel, his briefing with M, flirting with Moneypenny, exotic locations, beautiful women, megalomaniacal villain. But it wasn’t yet meshed together as the formula had yet to be written. For the most part, the movie feels like a two-part episode of Hawaii Five-O set in Jamaica. It sounds as if I am nitpicking, but these are exactly the things that make this movie my personal favorite. As I said, this is both a Bond film and not. It does not play out according to the standard formula we’ve come to love over the years. It plays out like a 1960’s spy film, and by that I mean a detective story. When Bond arrives in Jamaica, everyone knows his name. Heck he uses it himself. We establish who he is and what he does. The flip side, and this is what I really feel works to the benefit of the film, is that we know nothing about the movie’s titular villain. From the moment of his arrival, Bond is made aware that he is not welcome, that he is being watched. This builds a level of suspense that really isn’t sustained in later films. Typically Bond meets or becomes aware of his nemesis early on and the rest goes from there. Yet in Dr. No, we only know the villains name and he is not even fully revealed until about 30 minutes from the end. In this brief role, the late Joseph Wiseman plays the despotic doctor with such a cool and commanding presence that I dare say he rivals Sean Connery in his first outing as 007. Hearing him talk to Professor Dent is especially chilling as we only hear a voice. It is soft spoken, devoid of emotion and more unsettling as a result. Yet it clearly shows this is not a man to be reckoned with. I will admit that he looks silly in his all-white Nehru suit. Speaking of chilling, I’m obligated to mention Bond’s execution of Dent. It is more cold-blooded than any kill since and reminds me of the blunt instrument that 007 seems to be in the novels. Oh and lest I forget, this film has four absolutely gorgeous women. Eunice Grayson as Sylvia Trench, the woman Bond plays cards with during his legendary introduction. Marguerite LeWars as the photographer trying to snap a shot of him. Zena Marshall as the seductively exotic Ms. Taro. Last, but certainly not least, is the beautiful Ursula Andress as that Aphrodite of the cinema, Honey Ryder. Although this is a British-made film, I love that it contains some elements culled from the American noir films of the 30’s and 40’s. The hard-boiled detective trying to follow the trail of a disappeared colleague. I also love how Bond just keeps encountering danger after danger as he follows the trail of breadcrumbs to Dr. No. Each time he is able to spot and avoid it. Except, of course, when he and Honey are in Dr. No‘s lair and he decides to freely drink coffee. But I think we can forgive 007 one questionable decision. 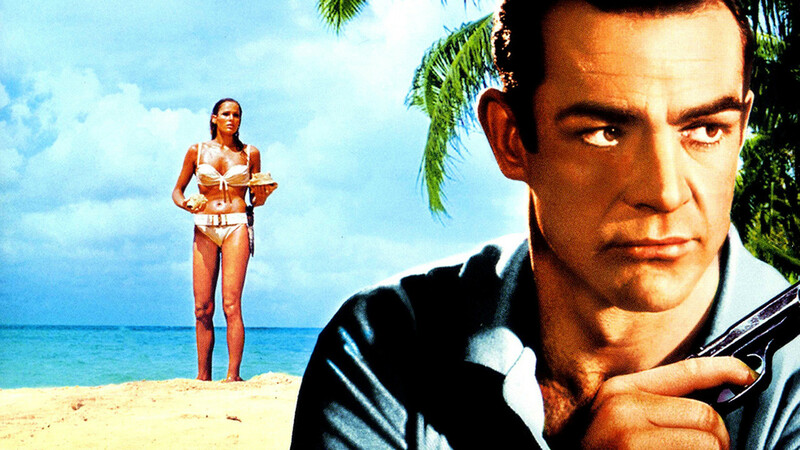 Dr. No was made in simpler time, boasts a simple story and had at its disposal a simple budget. It was beholden only to the expectations of its creators. 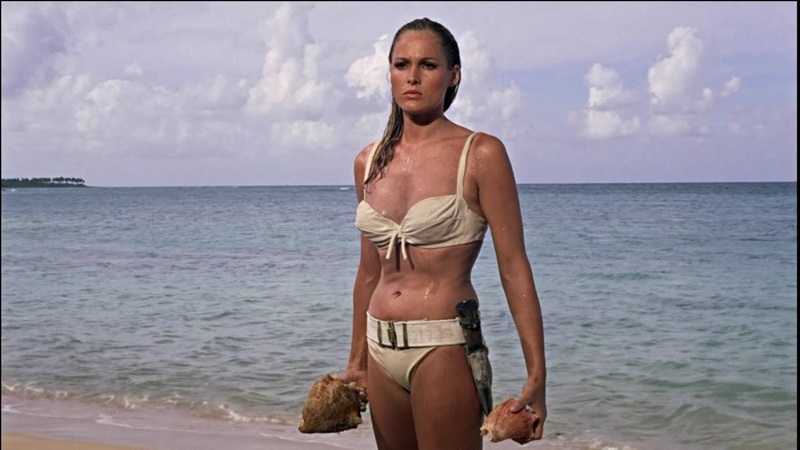 Dr. No resonates with me more than any other Bond film. What makes it stand out most is that it feels like a movie on the cusp of a new era. It, of course, catalyzed 50 years (and counting) of James Bond, but it was also made just before the explosion of a new Hollywood era. Bigger movies, bigger budgets. 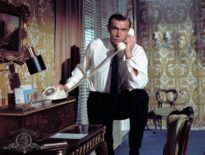 On 007’s resume, Dr. No may not be Goldfinger or The Spy Who Loved Me, but if, for whatever reason, there had been no more 007 after 1962, I would still find Dr. No to be an engaging, well-paced spy thriller starring a character that deserved a far more rabid following. Eric Jones resides in Philadelphia, PA. He studied public relations communications and has been a fan of James Bond since he was seven. He loves movies and talking about movies with like-minded folks. Especially James Bond. How I Discovered #Bond_age_: Through another Twitter follow that talks movies.